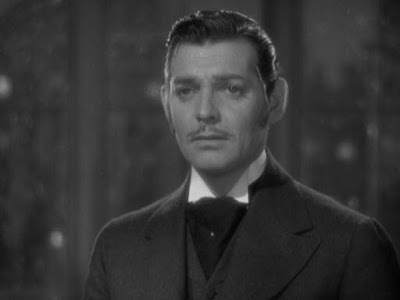 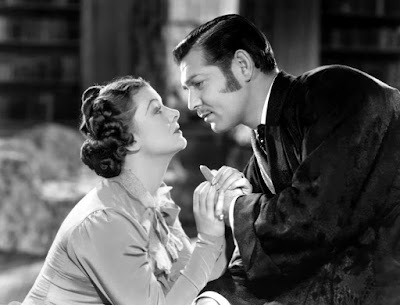 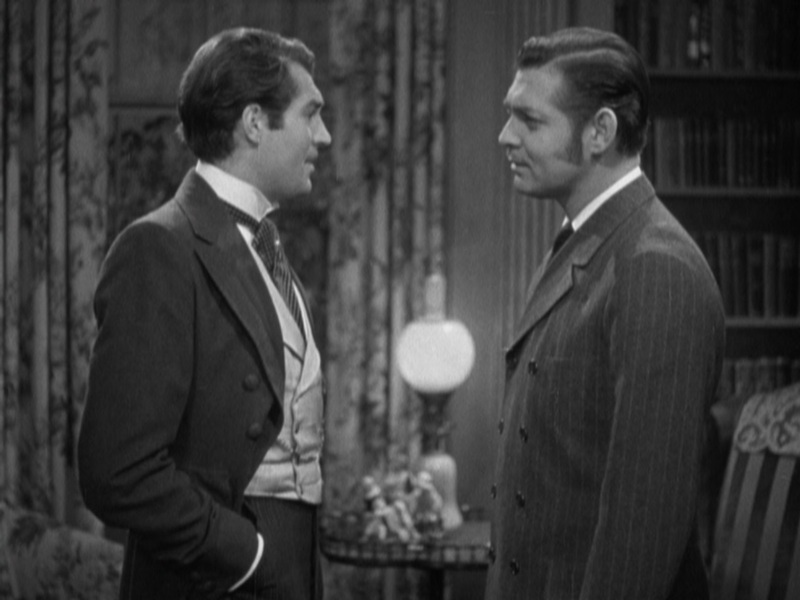 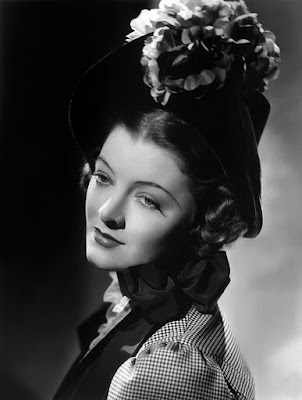 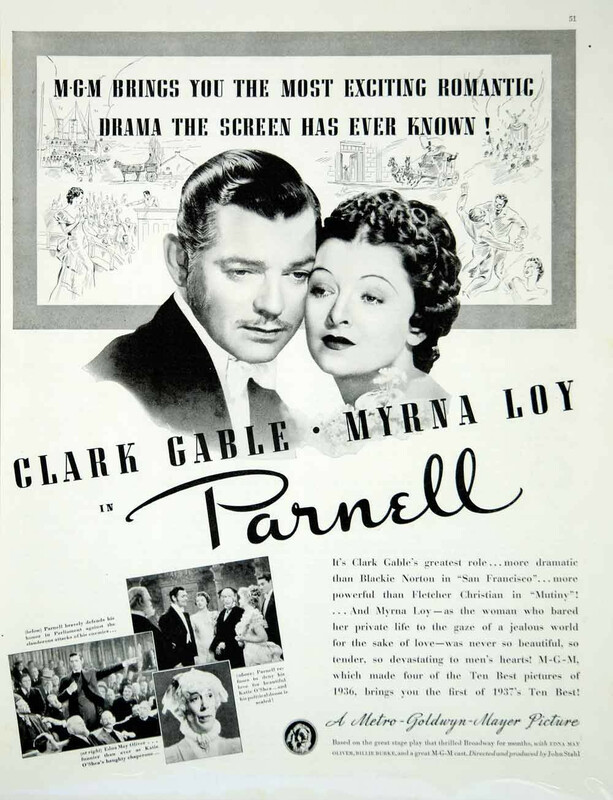 This sixth pairing of Clark Gable and Myrna Loy finds them portraying real life 19th century Irish politician Charles Stewart Parnell and his wife Katharine O'Shea. 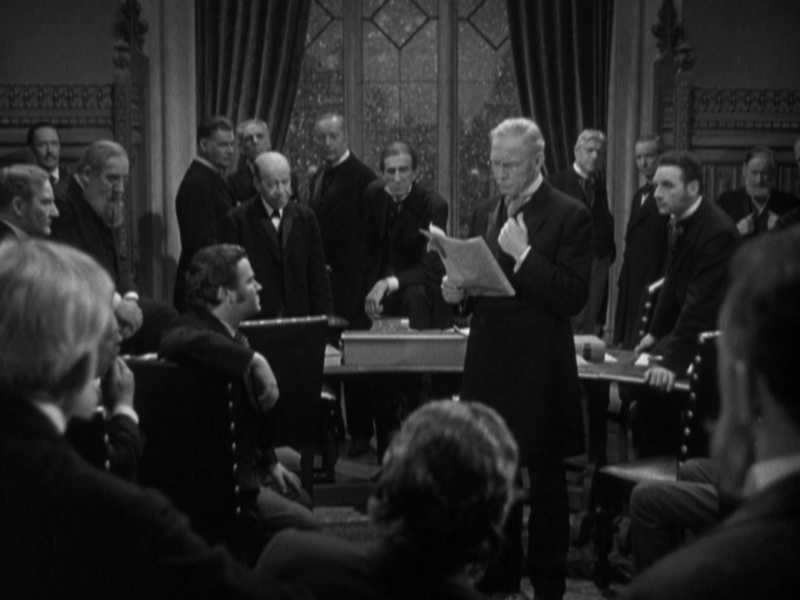 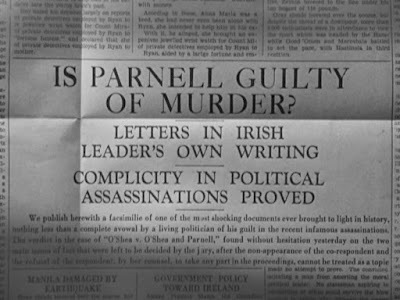 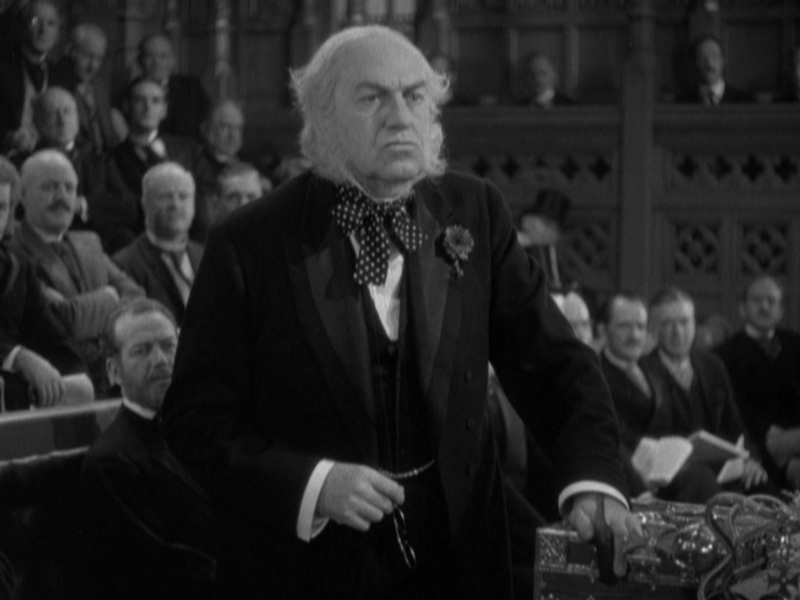 Before watching the film, I'd never even heard of Charles Parnell and afterwards I still didn't know much and cared even less, but I did look him up on Wikipedia and from just the few minutes I spent on there, it seems like this film was wildly inaccurate. 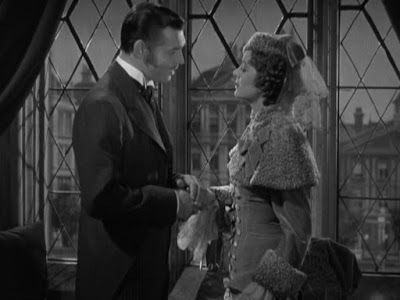 Example: In the film they only had a brief courtship and a very short marriage before his early death, but in reality they had three children together while she was still married to another man!!! 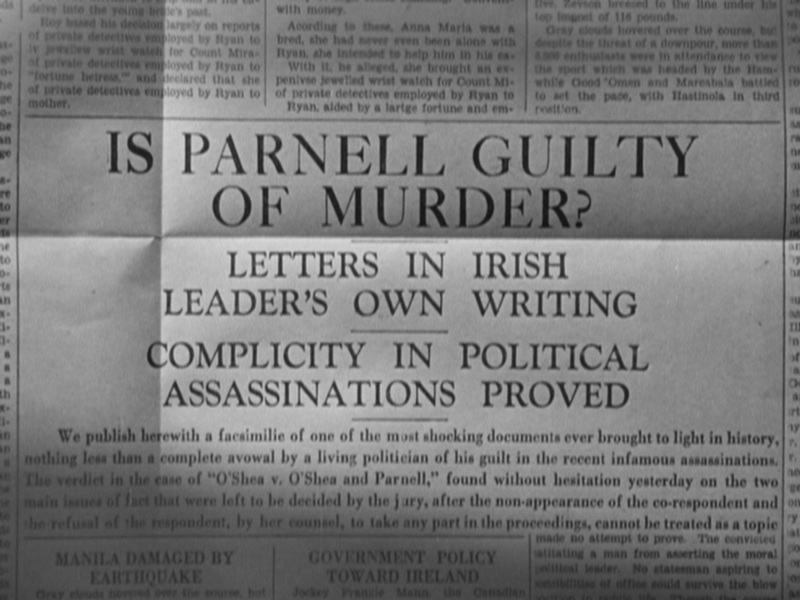 Historical inaccuracies aside, PARNELL is still a snoozer. 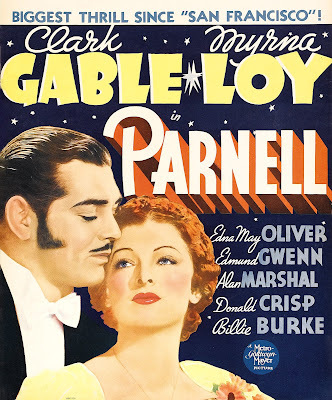 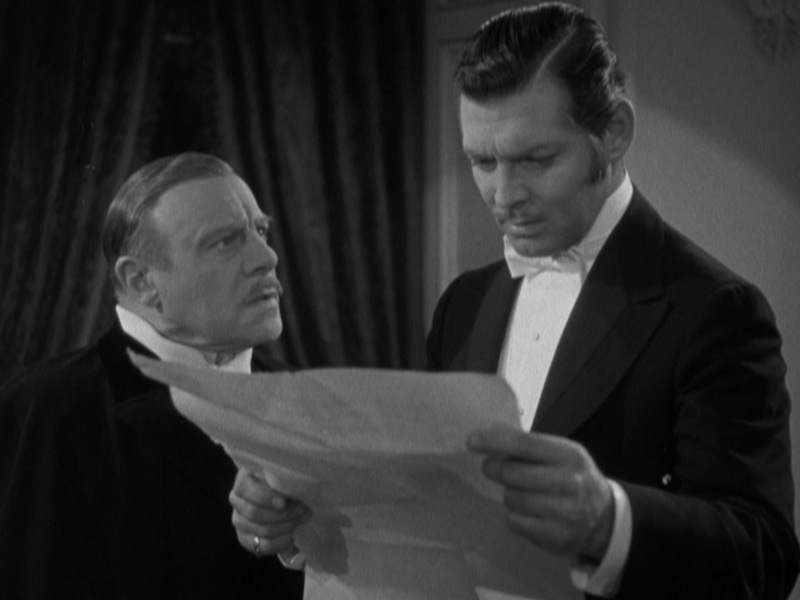 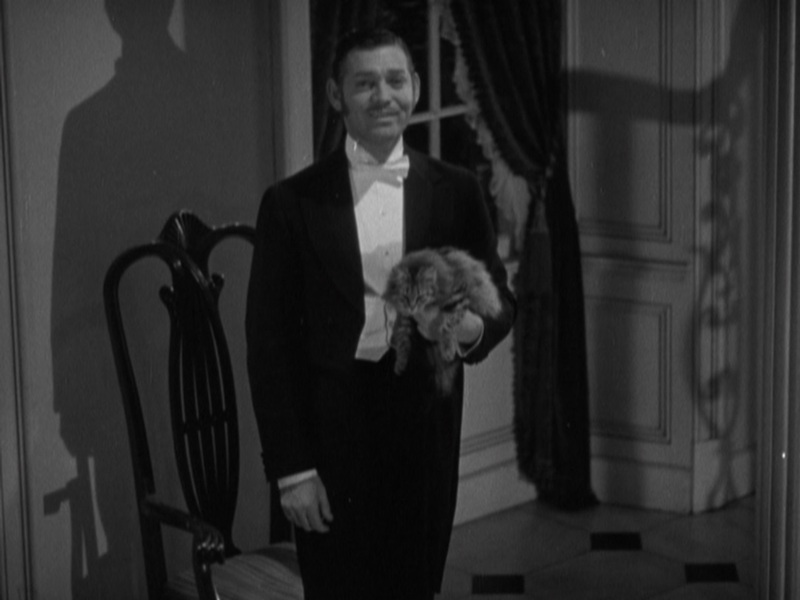 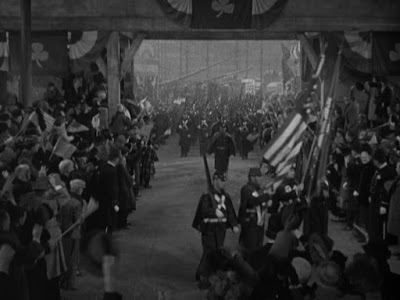 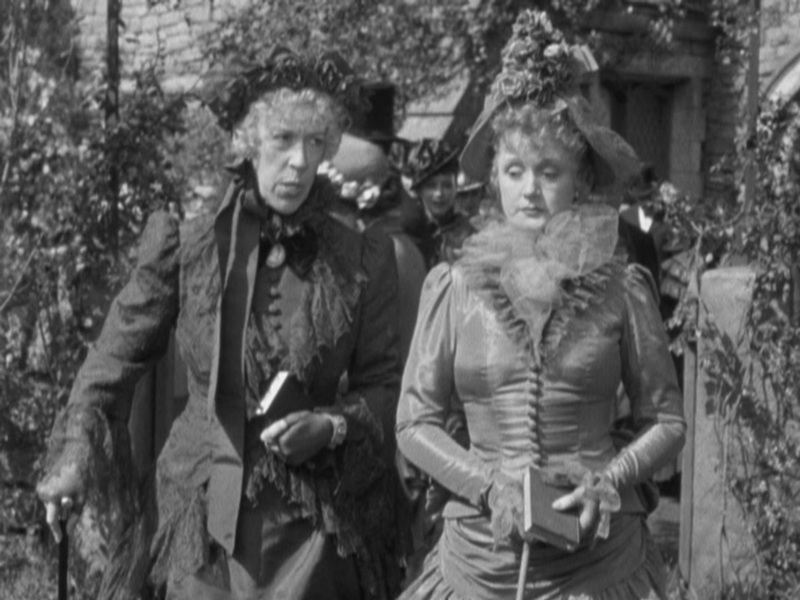 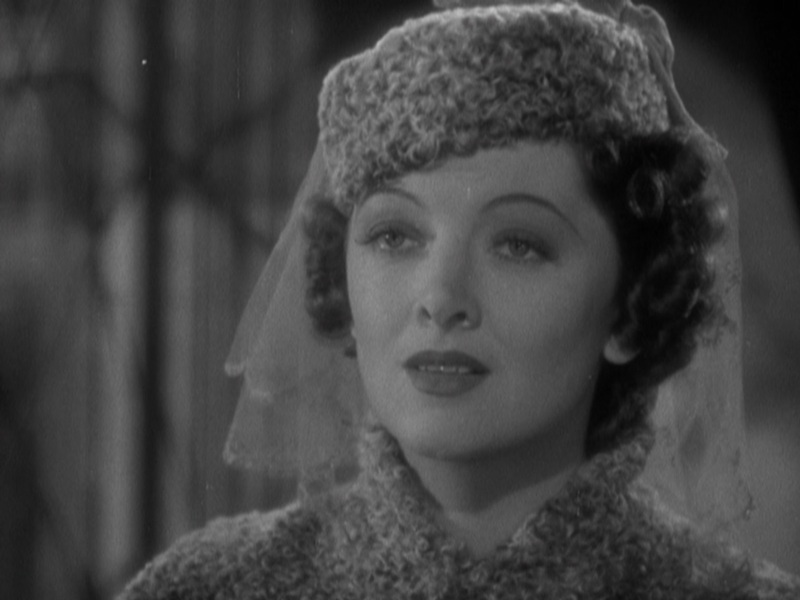 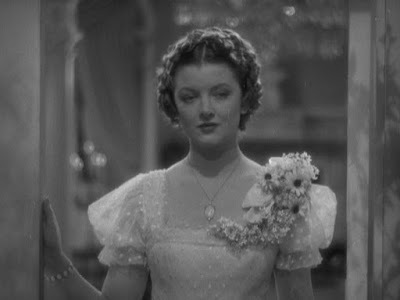 I love Gable and Loy, but watching them here was a chore. Neither have anything to work with and as a result the entire film is just lifeless scene after lifeless scene...Gable gives a lame speech, Loy and Gable talking, more talking, politic rivals dislike Gable, Billie Burke talks and it make me daydream about THE WIZARD OF OZ, Donald Meek shows up and I start daydreaming about YOU CAN'T TAKE IT WITH YOU, more talking, Gable and Loy eat potatoes, Gable and Loy love each other, Gable goes on trial, more talking, The End. 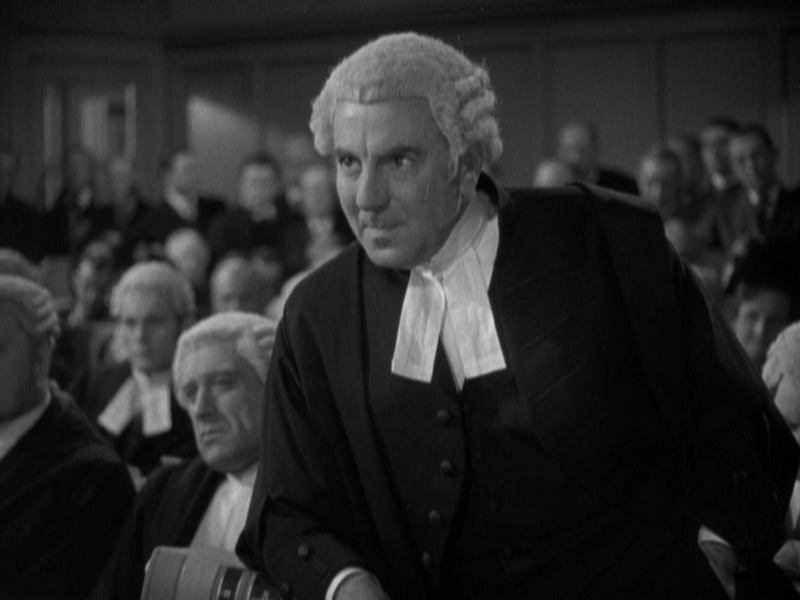 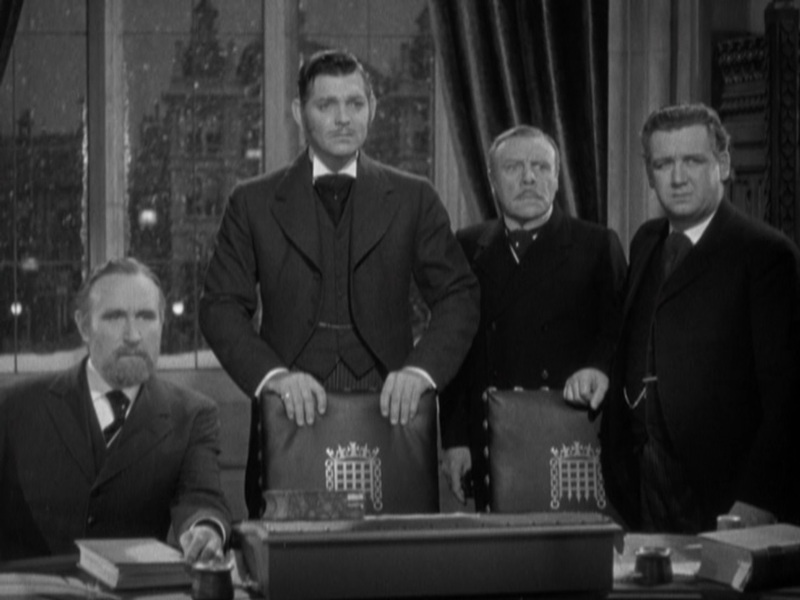 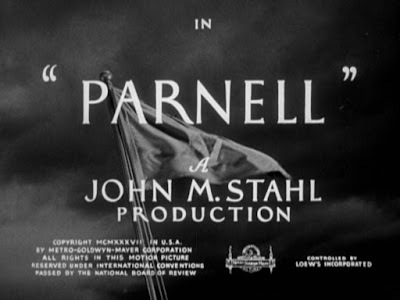 As far as the filmmaking qualities go PARNELL looked good and the acting was passable, but the story was just terrible! 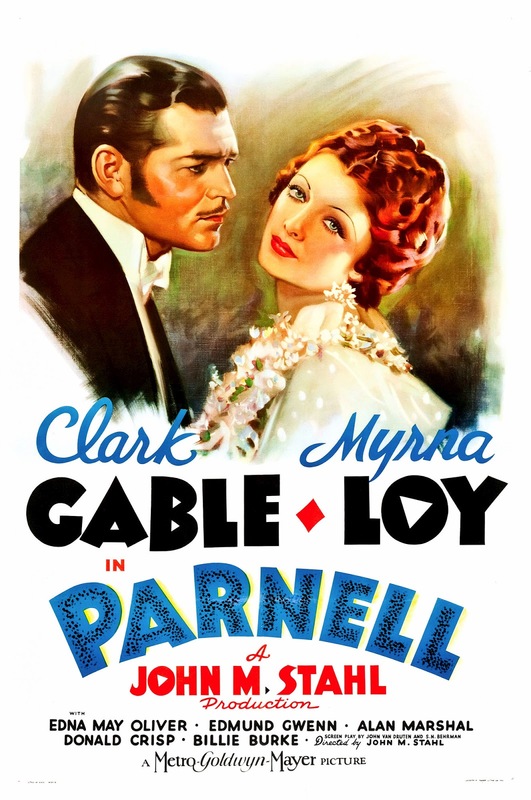 Zero ups or downs, boring characters, dull romance. 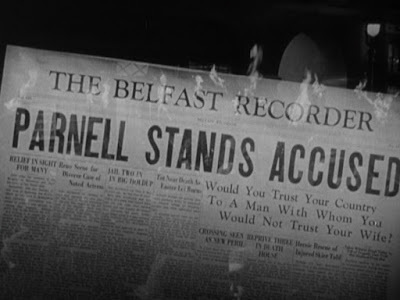 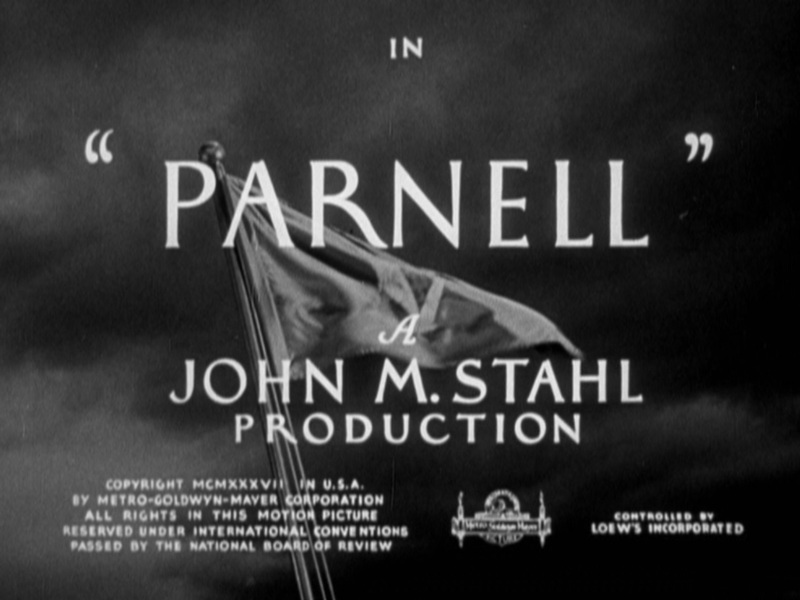 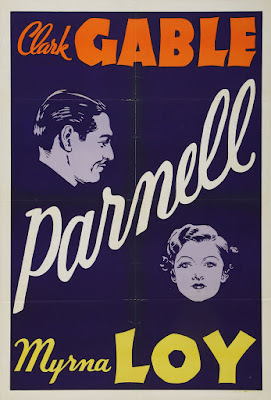 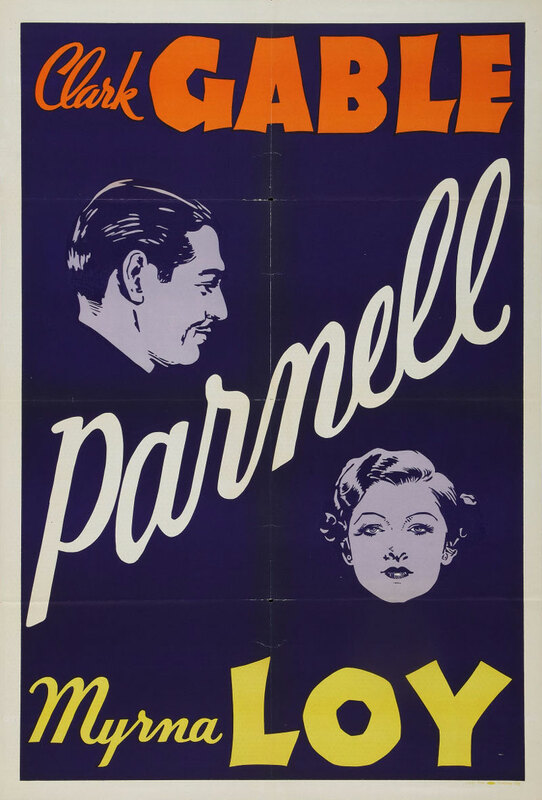 Ugh, PARNELL is simply a nothing movie. Skip it. 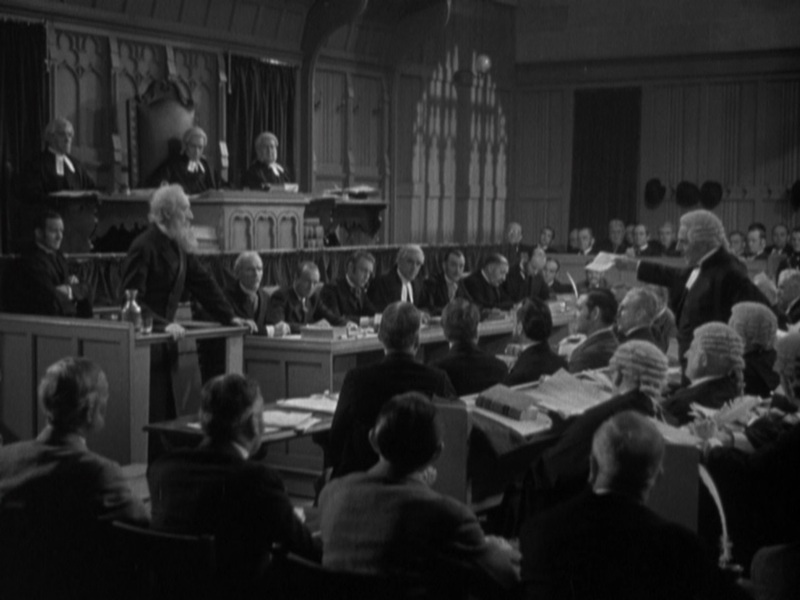 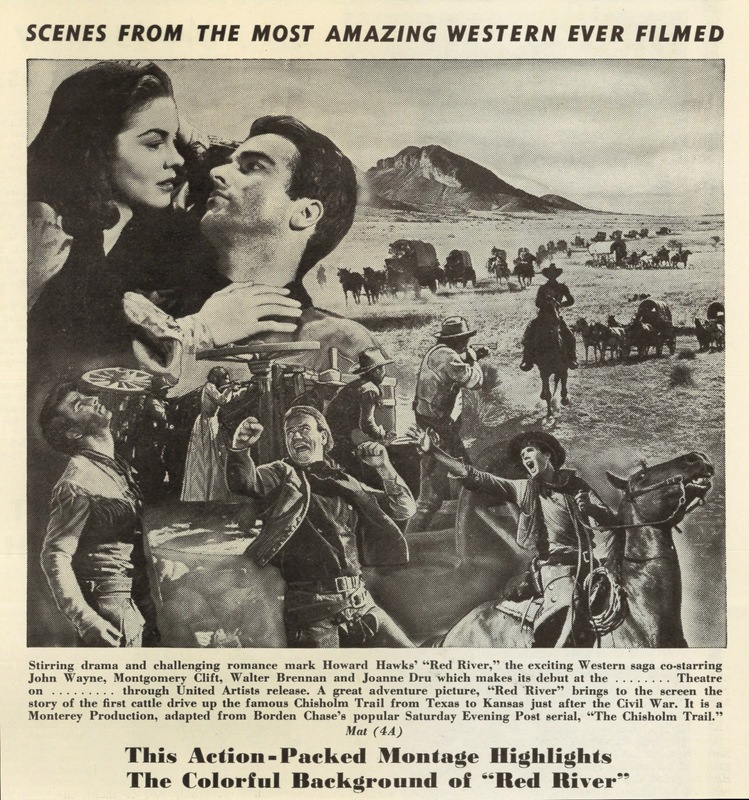 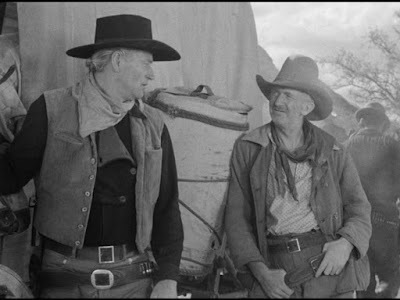 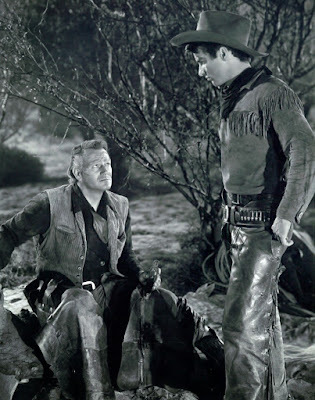 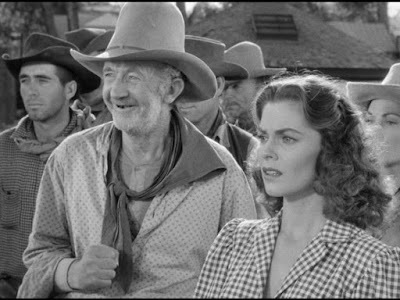 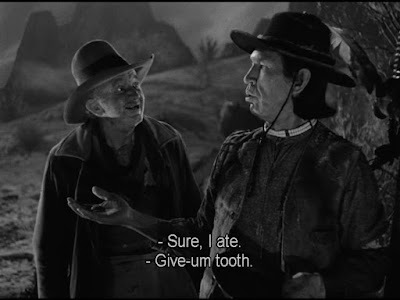 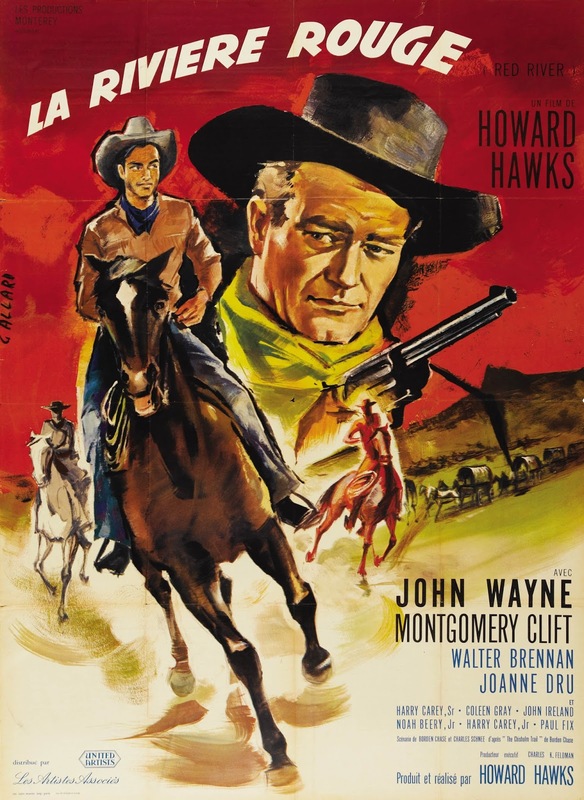 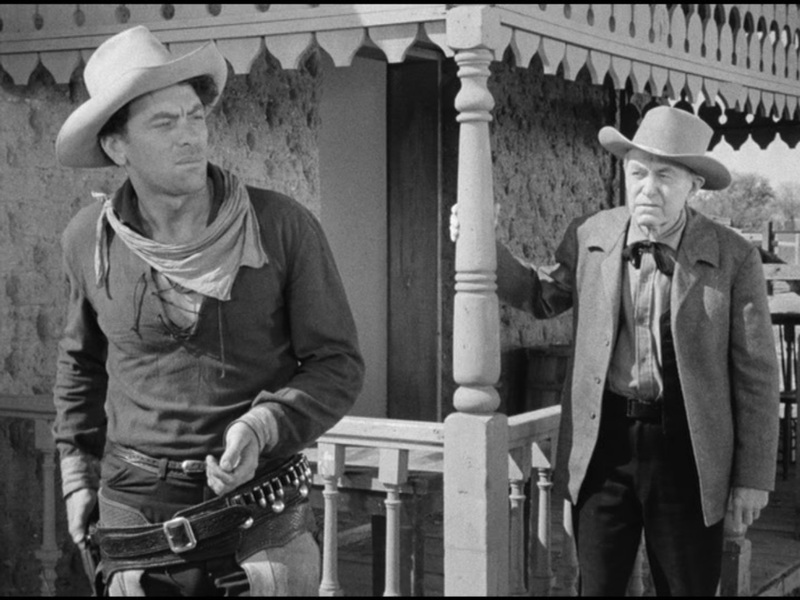 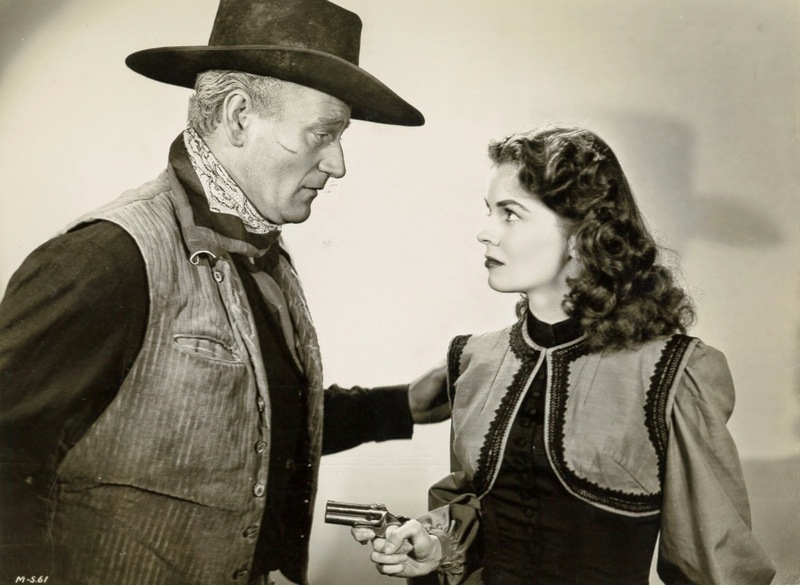 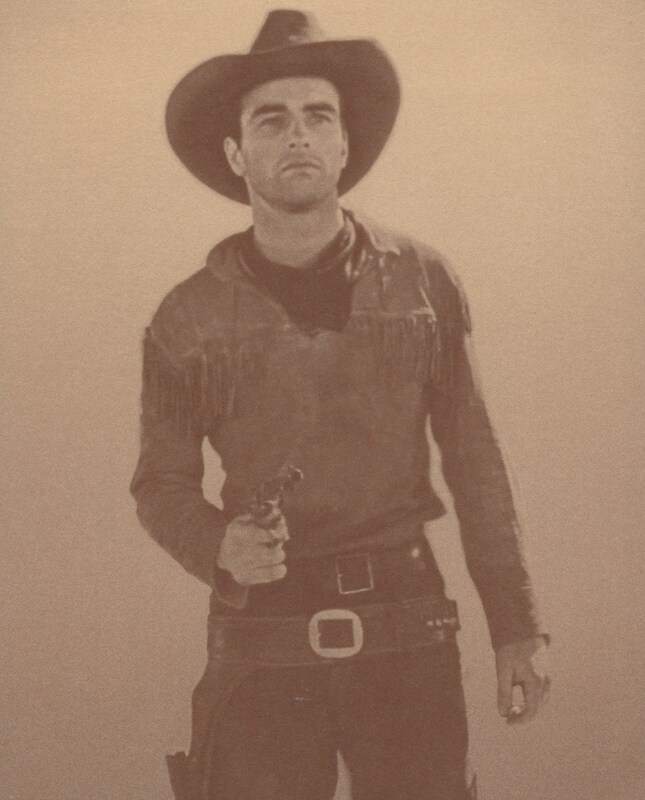 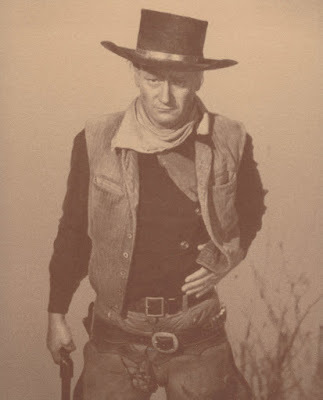 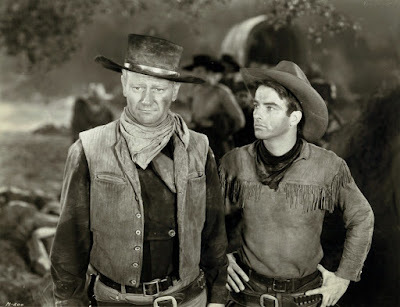 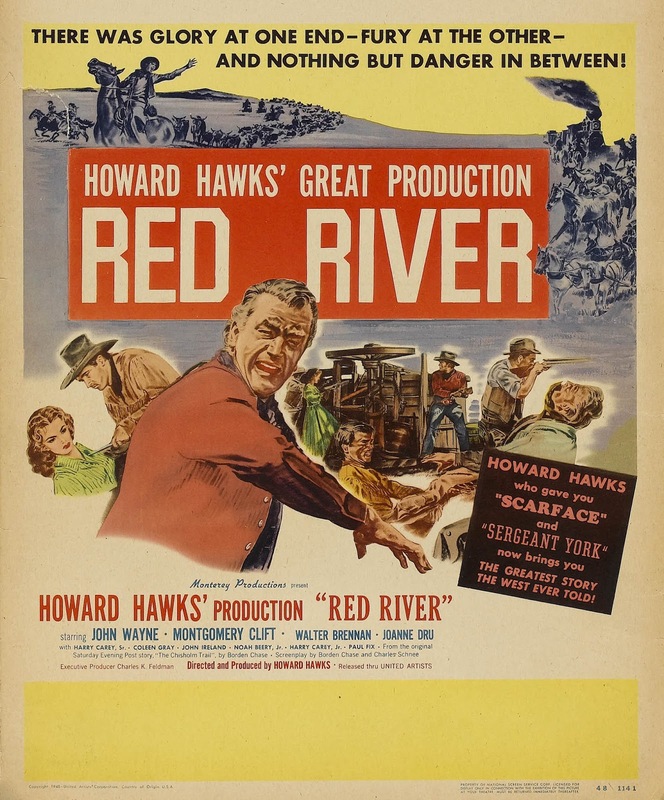 Howard Hawks only made a handful of westerns and as far as I'm concerned, every single one of them is great. 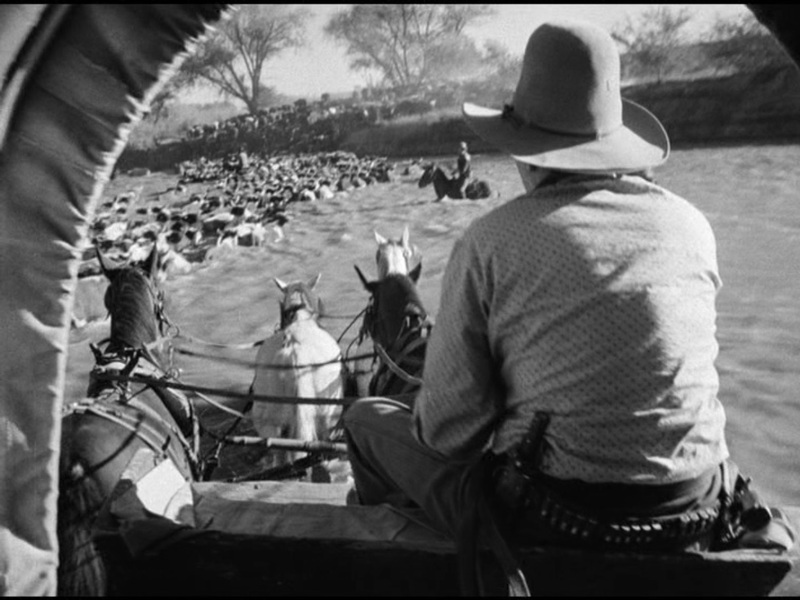 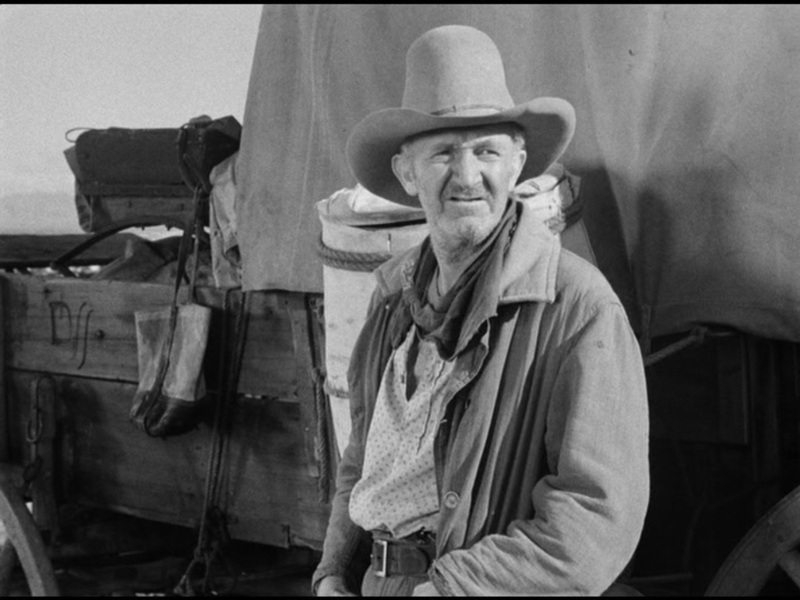 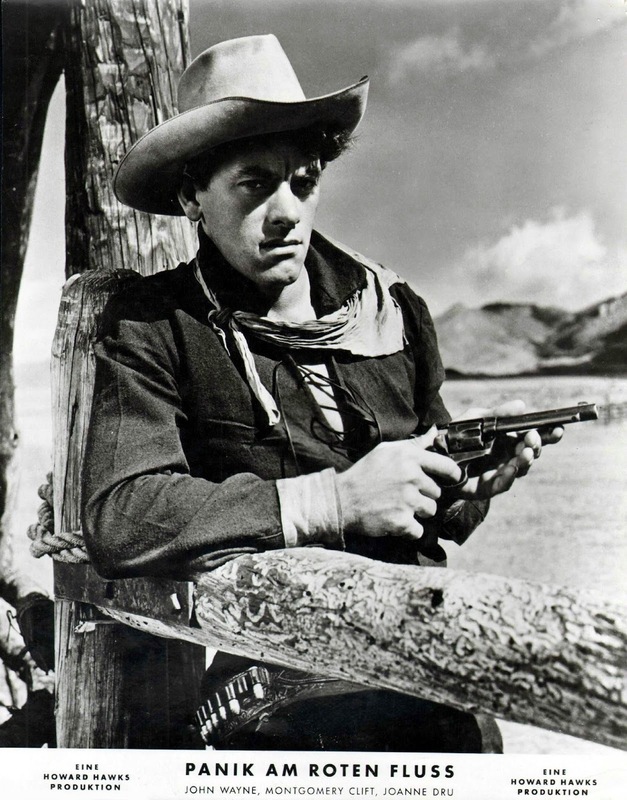 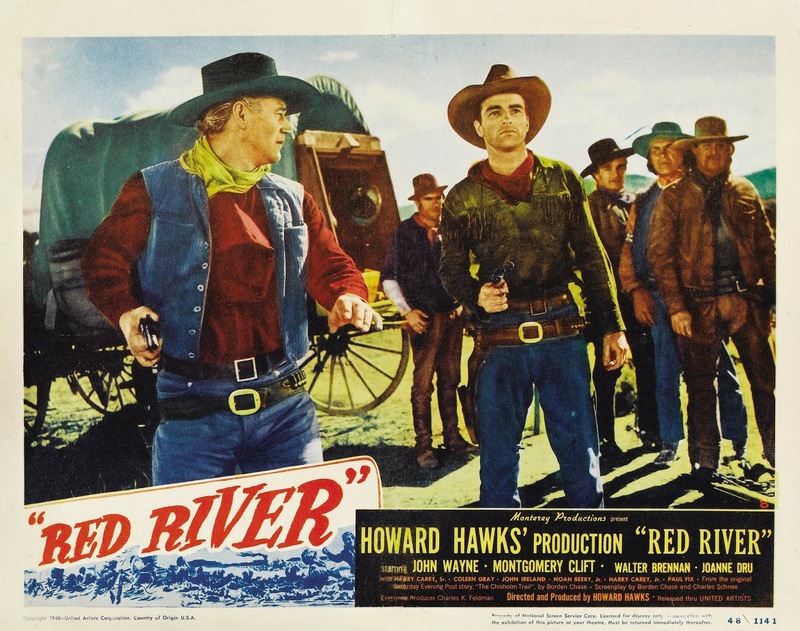 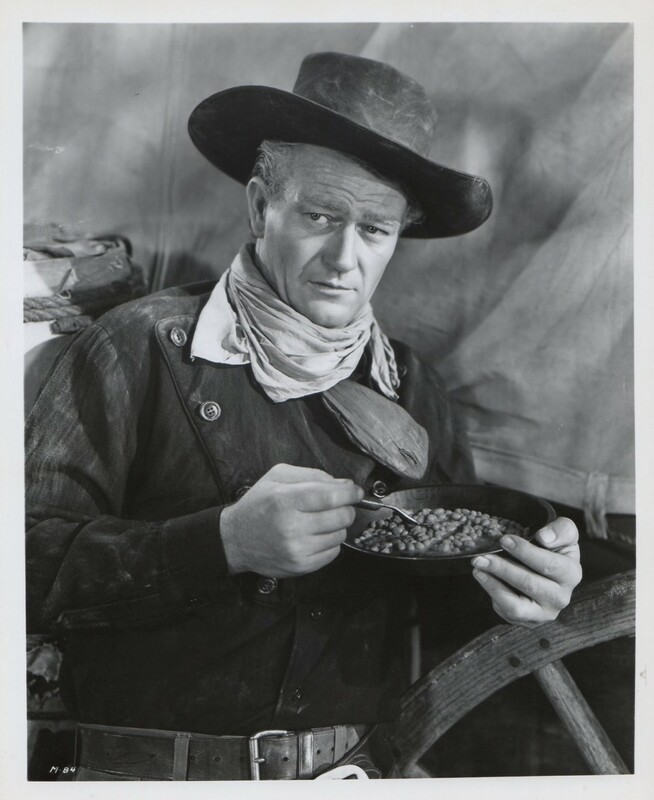 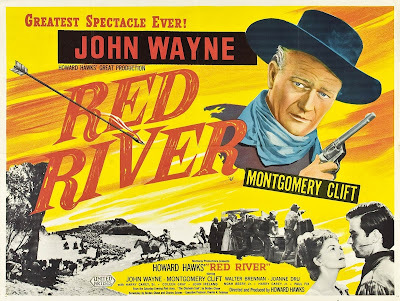 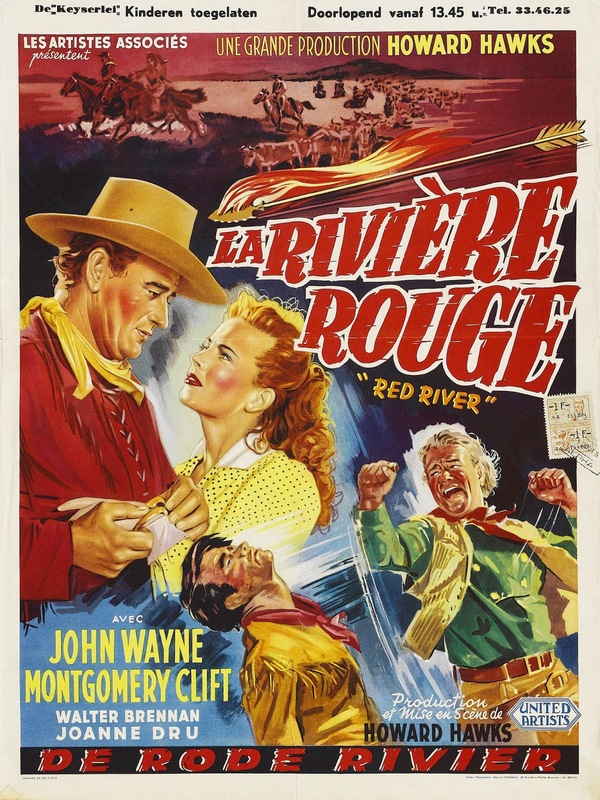 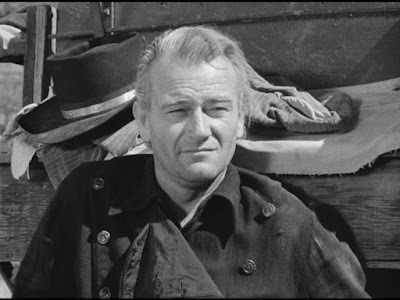 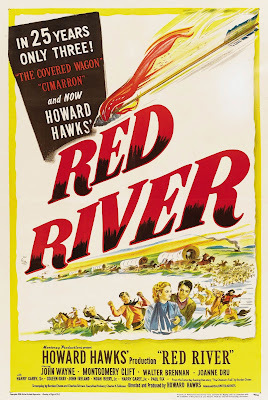 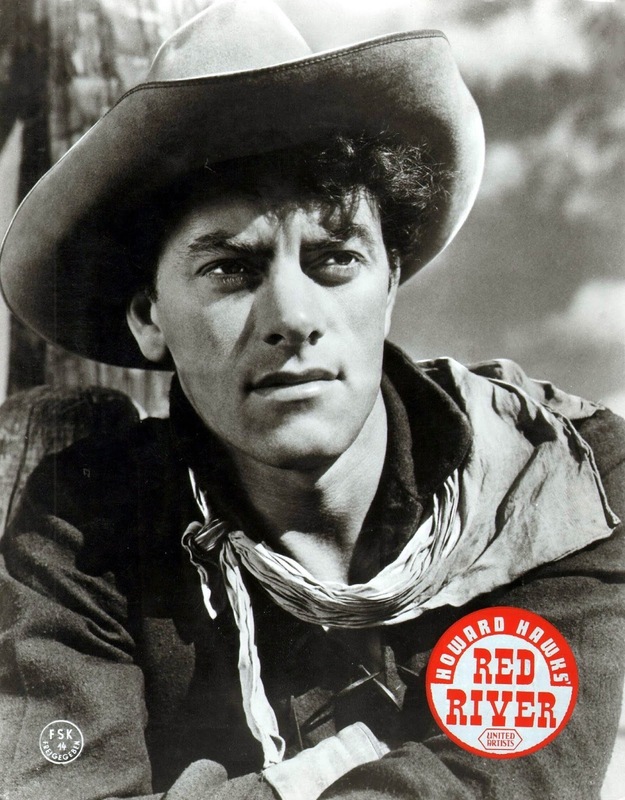 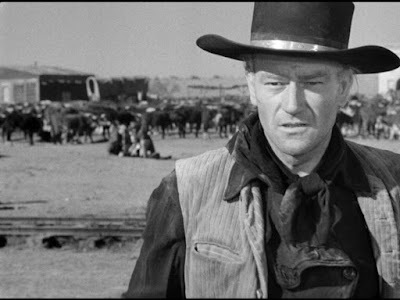 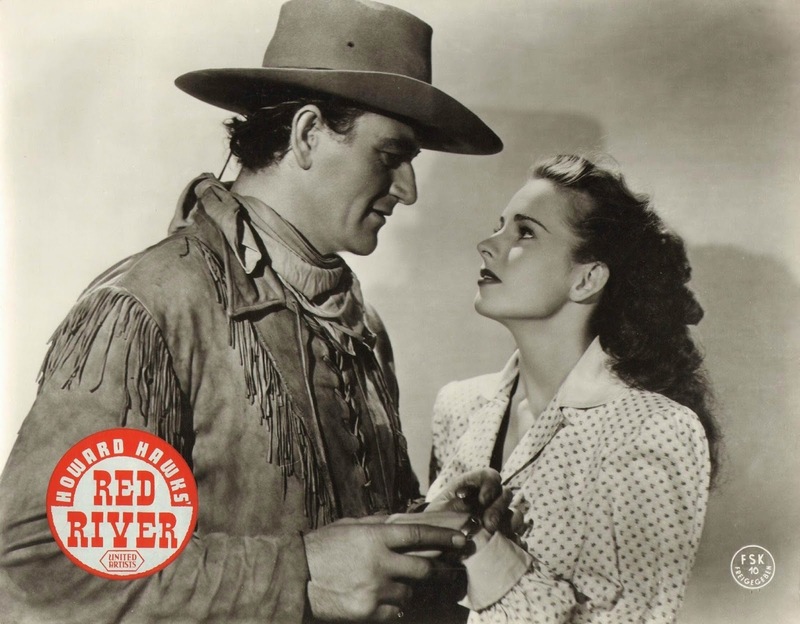 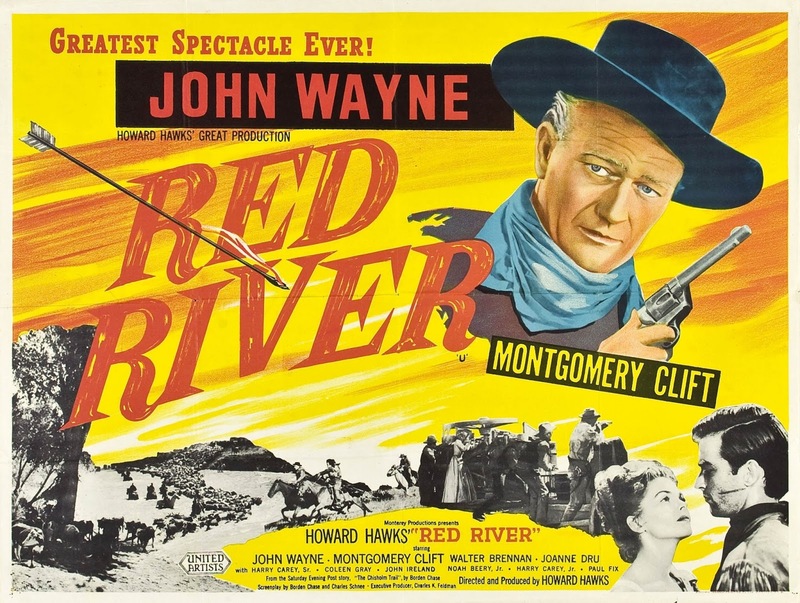 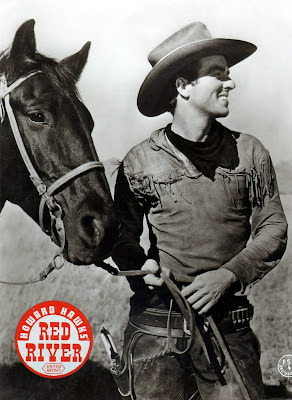 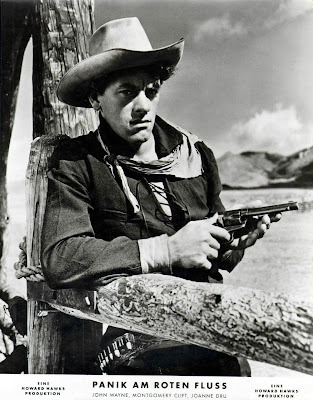 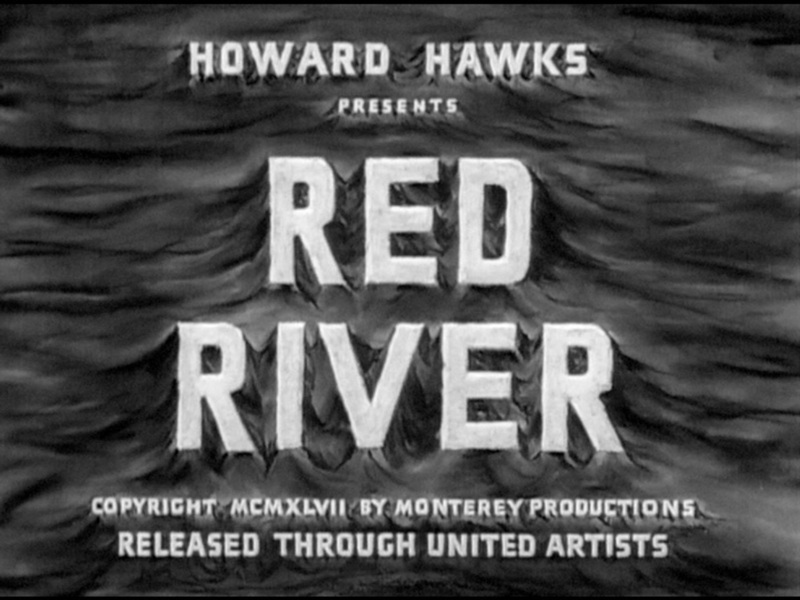 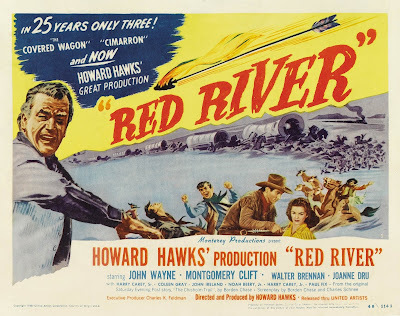 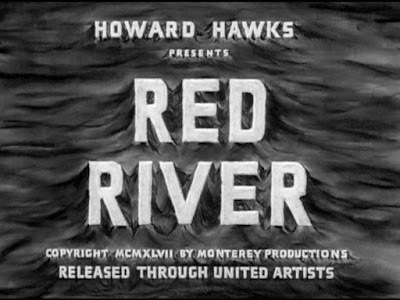 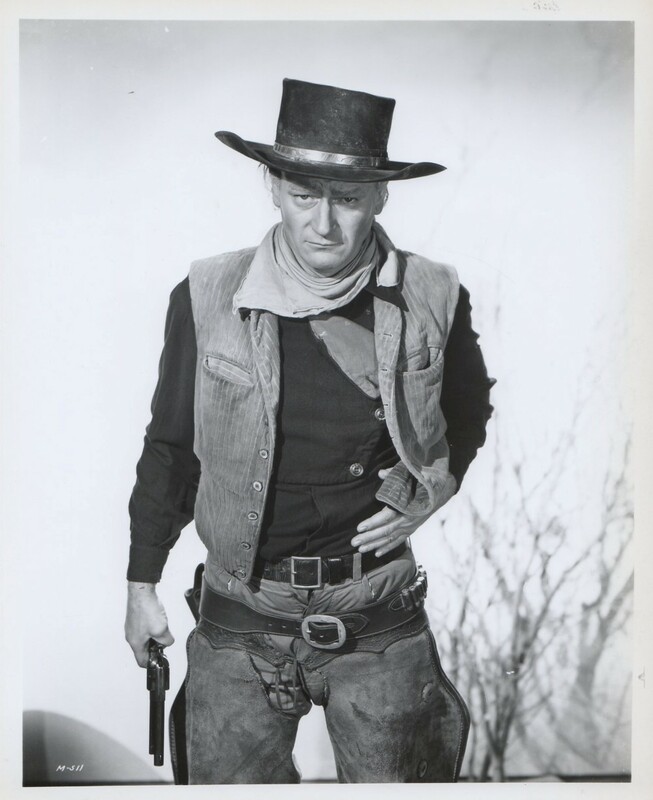 RED RIVER is Hawks' first credited western and it tells the story of a tough cowboy (John Wayne) who over the course of 14 years builds a massive cattle ranch deep in the heart of Texas. 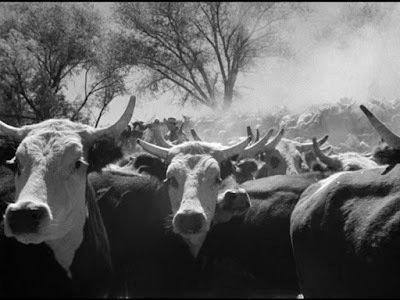 So now with over 9,000 head of cattle he plans on driving his herd up to Missouri here he can sell them for a good profit. 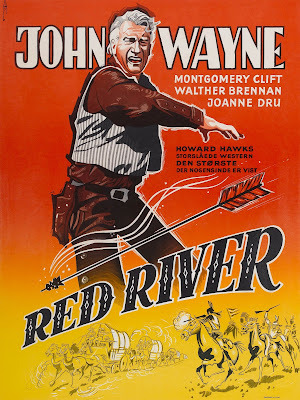 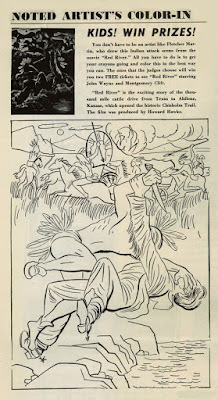 Wayne and his men set out for the trip north, but after a few weeks the rugged, unsettled land and Wayne's cruel disposition begins to wear on the men and eventually RED RIVER turns into "Mutiny on the Bounty" on horseback. 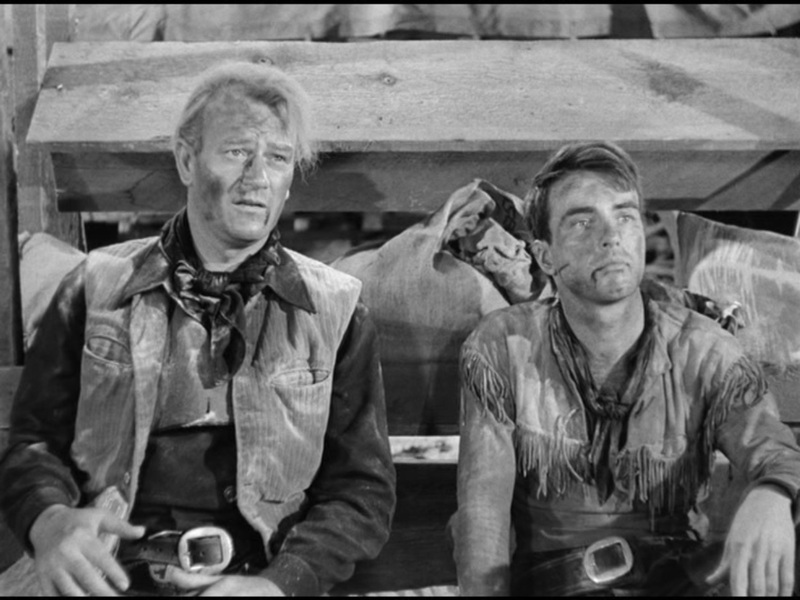 And there's nothing wrong with that because "Mutiny on the Bounty" is one of my favorite novels of all time. 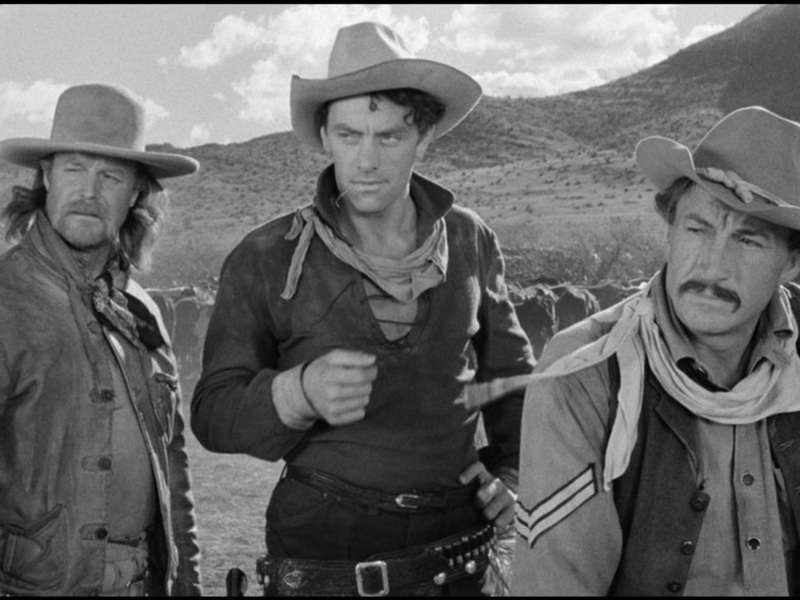 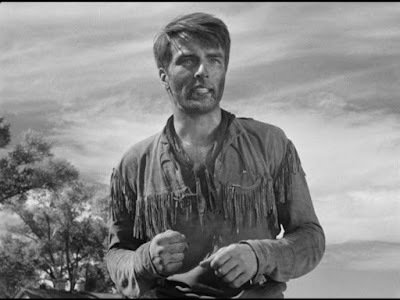 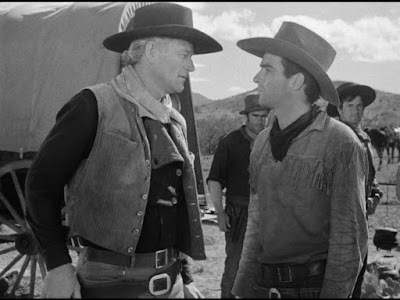 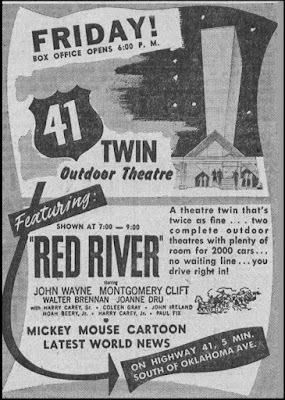 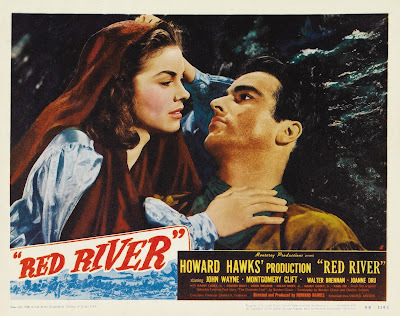 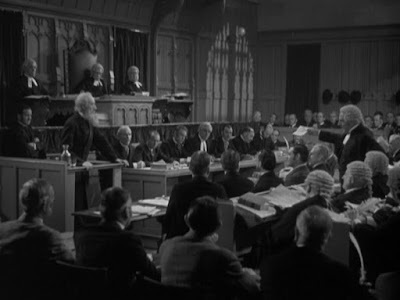 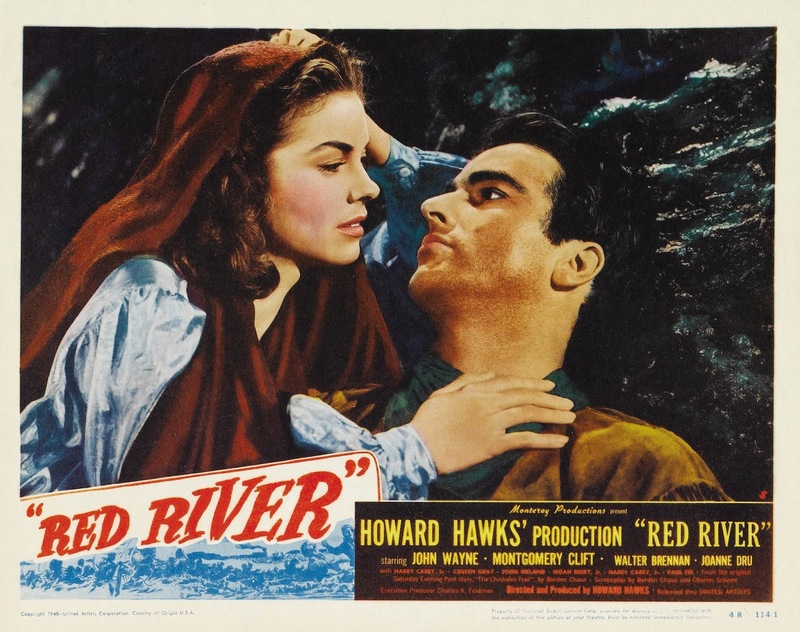 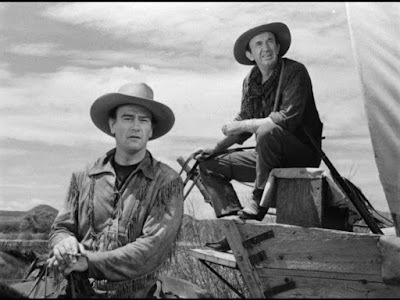 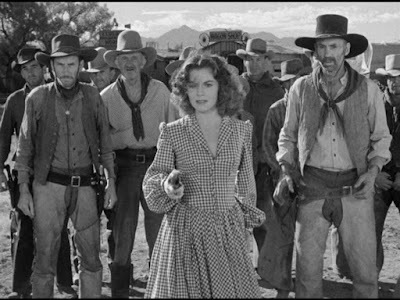 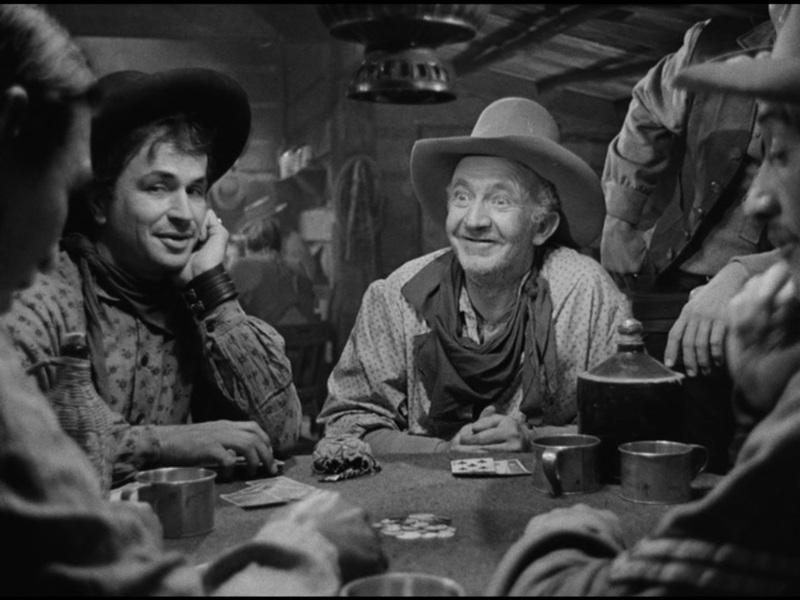 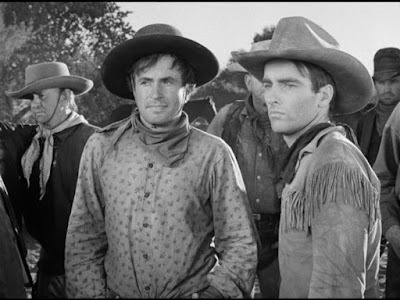 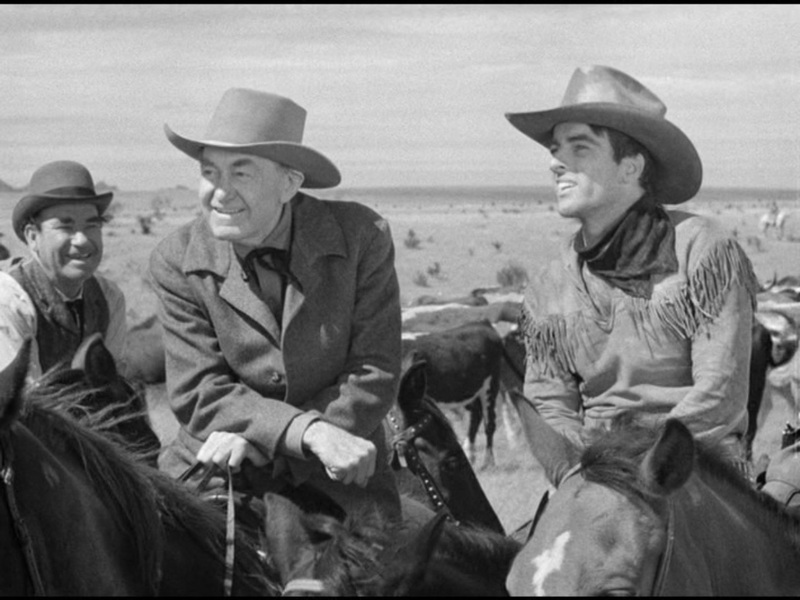 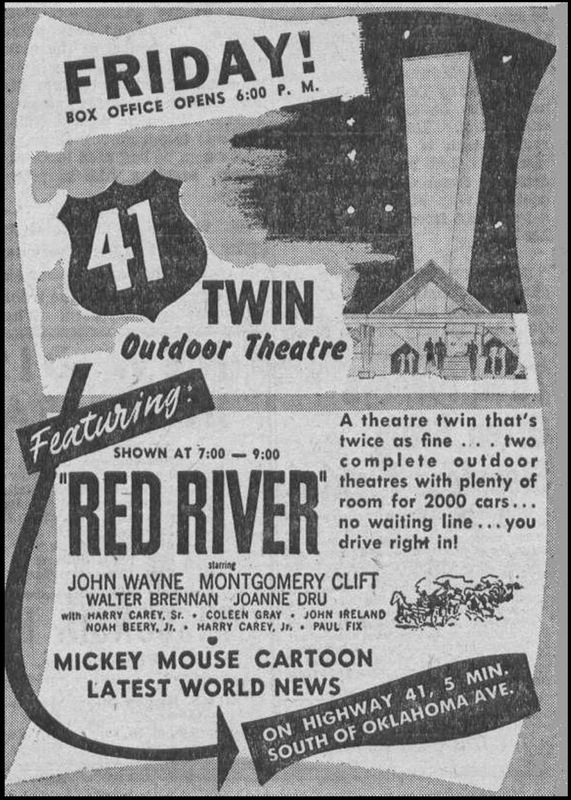 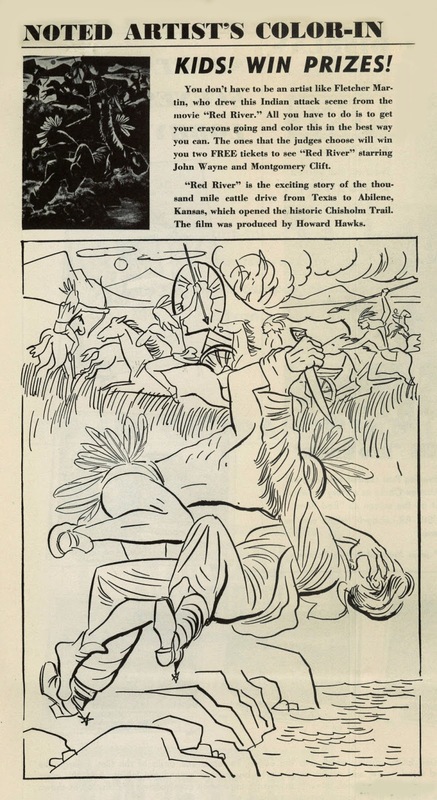 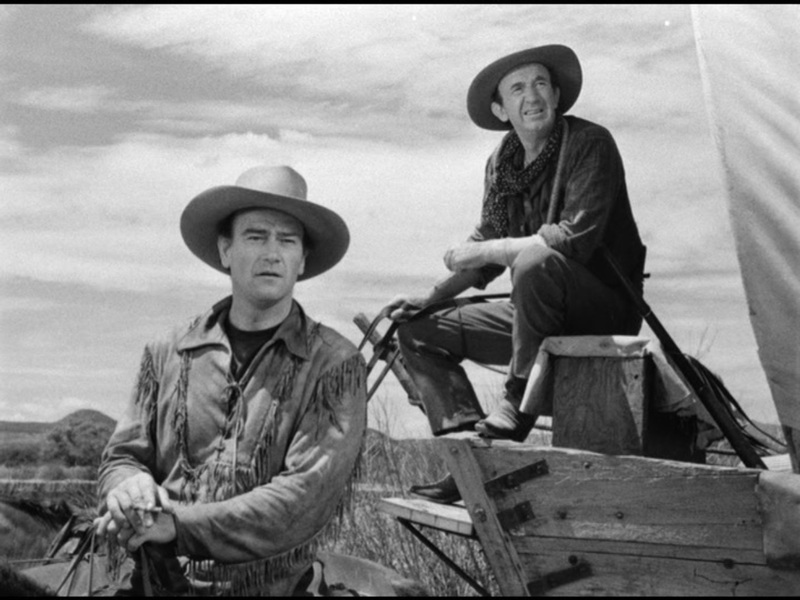 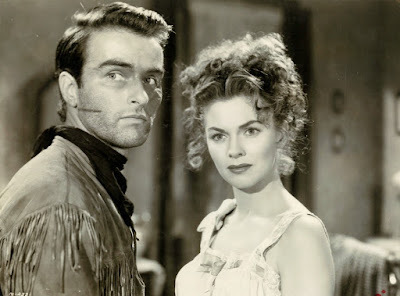 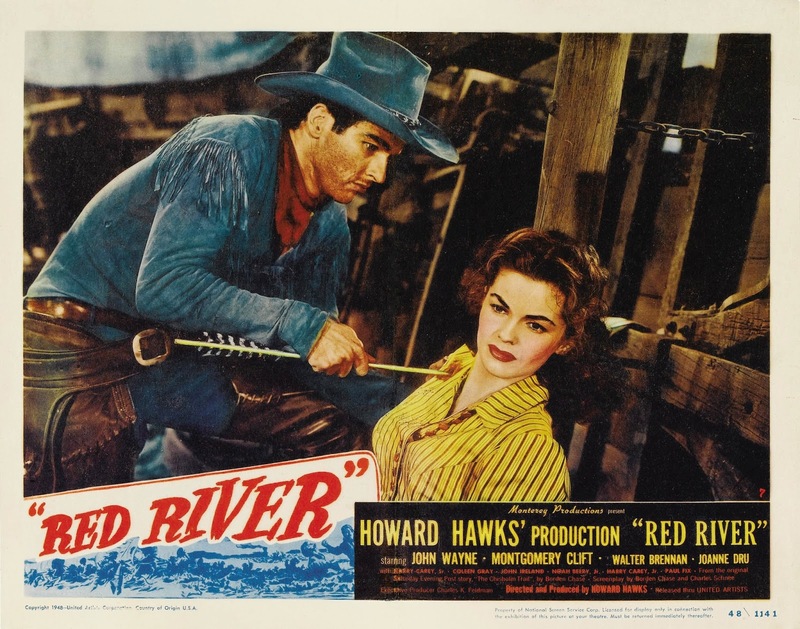 The story for RED RIVER is great, but what really pushes the film into classic territory is the performances by the entire cast (especially Brennan, Clift and Wayne) and the perfect direction by Hawks. His direction is so smooth that the images just slide into eyeballs without you even realizing it. 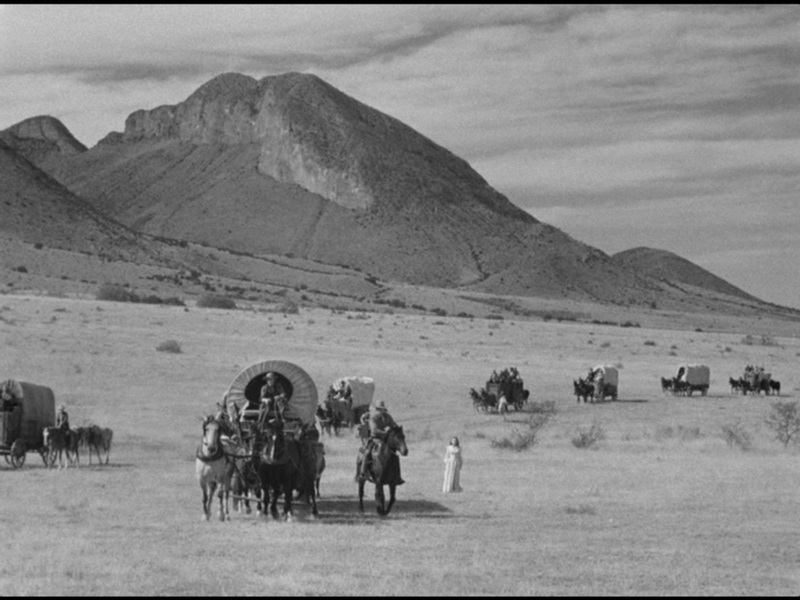 Scene after scene go by and you don't even notice the cuts. 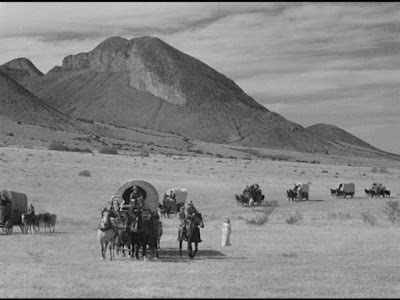 And the camera is always where it should be. 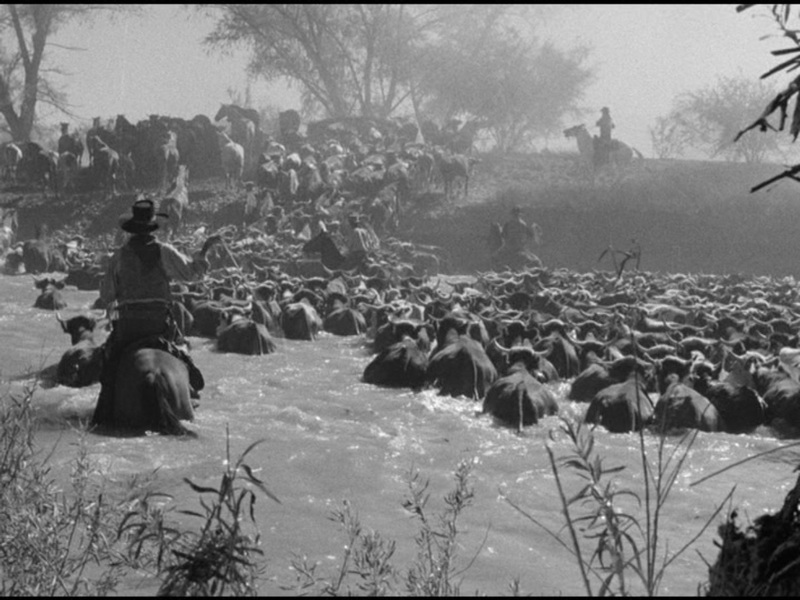 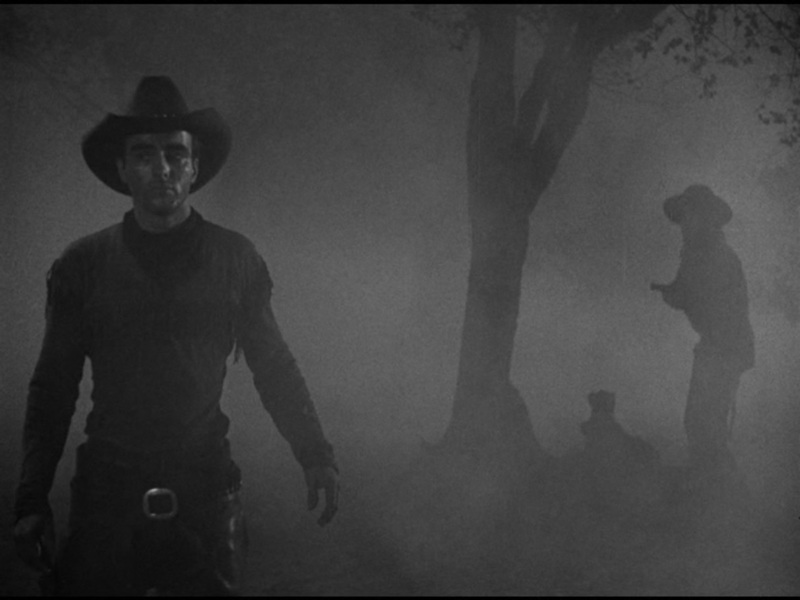 RED RIVER is an amazingly smooth film to watch. 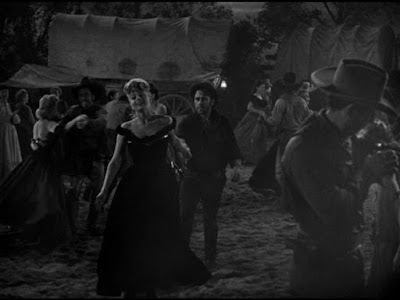 Beautiful scenery, great acting, just the right amount of humor to ease the mood when needed, Wayne's first film with a darker role, a super quick glimpse of Shelley Winters as a dance hall girl and a quick pace that even after two hours leaves you wanting more. 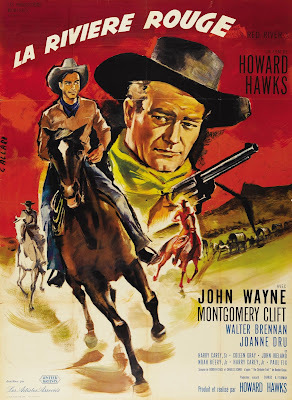 Highly recommended for fans of classic westerns.